Stock-up Deal!! 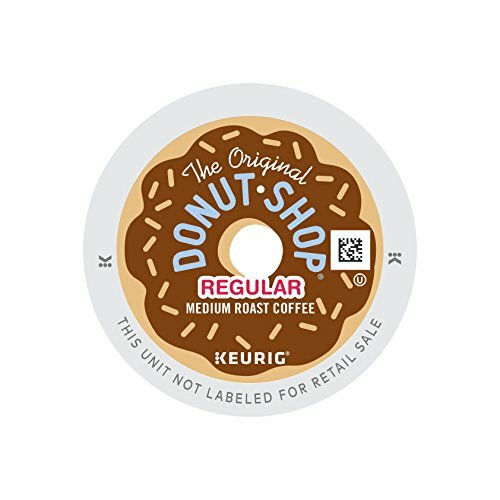 Hurry and get the The Original Donut Shop, Regular, Medium Extra Bold, Keurig K-Cups, 72 Count today for only $25.70 from Amazon when you choose subscribe & save and have at least 5 subscriptions in 1 month! That’s only $.36 per K-Cup which is a stock-up price! Limit 4! No need for coffee-coupons on this deal, and it ships right to your door!! Prefer a 1-time purchase? Pay just $30.23 (42¢/K-cup)! Amazon Prime members get FREE 2-day shipping!If you are not a Prime member, get FREE shipping when you purchase $25 or more of eligible items across any product category. Before coffee was complicated, great coffee was simply fresh, bold, and flavorful. The Original Donut Shop brings back the classic donut companion with this ideally balanced brew of the highest quality Arabica beans … dunking is encouraged. Made with 100% Arabica coffee. Some people won’t admit it, but the best part of a donut is the coffee that goes with it. Without coffee, donuts are just another confection. But Donut Shop Coffee? That’s a different story. Previous articleElmer’s Glue Slime Starter Kit Deal (4-count)- Deal!